A savage group of revolutionaries holds up a casino and flees with the loot. A super smart inspector understands who is the mastermind behind the hit and sets out with his men to track down the murderous gang. 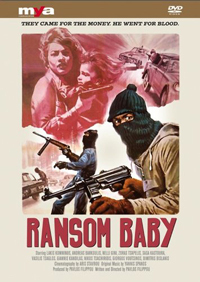 In the desperate attempt to stop the cops, the ruthless robbers decide to kidnap the inspector's little boy. But it takes more than emotional blackmail to stop a man who's pulled out all the stops in the service of justice.